The regulations may be inspected at the German Chamber of Lawyers at www.brak.de (professional standards/Berufsregeln). The activity of the notary Rüdiger Plegge is determined in accordance with the law of the Federal Republic of Germany. The notary’s official domicile is Ibbenbüren. 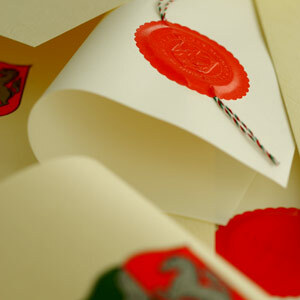 The regulations may be inspected at the German Chamber of Notaries at www.bnotk.de (professional standards/Berufsrecht). Liability for the up-to-date nature, completeness or quality is excluded, except for intentional or grossly negligent false information. All offers provided free of charge are non-binding. We reserve the right to amend, supplement or cancel the offer at any time without prior notice or to cease publication. The pages do not constitute solicitation of a concrete brief and no client-lawyer relationship shall be established by retrievable information or downloads. Such a relationship shall only arise through acceptance by PGL Plegge, Gebauer and Löhr, Lawyers & Notary. The published links are researched and compiled with the greatest possible care. We have no influence on the current and future structure and contents of the linked sites. We are not responsible for the contents of the linked sites and do not make their contents our own. The provider of the website to whom attention was drawn is solely liable for illegal, wrong or incomplete contents as well as for losses which arise through the use or non-use of the information. The liability of the party which merely draws attention to the publication by a link is excluded. It is pointed out that e-mail transmissions are not secure and that liability is also excluded in this respect. In so far as personal data (for example name, address or e-mail addresses) is collected on our pages, this is always in so far as possible done on a voluntary basis. The use of offers and services is, in so far as possible, always possible without disclosing personal data. Express objection is hereby raised to the use of contact data published under the legal notice obligation by third parties for sending not expressly requested advertising and information material. The providers of the pages expressly reserve legal action in the event of the unrequested receipt of information, for example by spam mail.